Un nuovo numero della rivista Muscular Development è disponibile. Come tradizione ampio spazio è dedicato all’Arnold Classic Ohio. 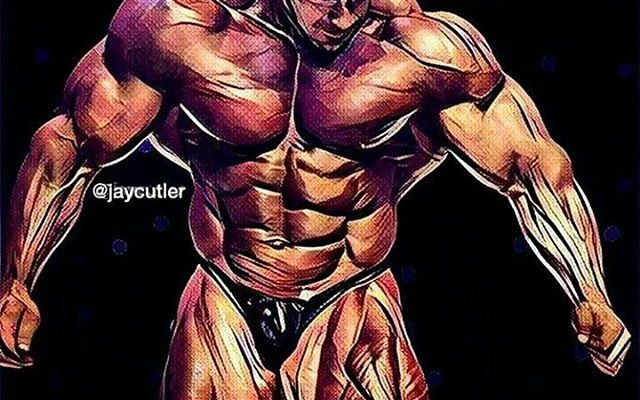 Tante previsioni sulla gara più importante del circuito pro ifbb dopo il mr Olympia, La cover è dedicata al campione Antonie Vaillant, il quale dopo aver sconfitto la dipendenza dalla droga, torna al bodybuilding. Nella speranza che il 2019 sia per lui l’anno della svolta! l’edizione della rivista Muscular Development del mese di febbraio 2019, ha dedicato la cover al campione PRO IFBB Antonie Vaillant, un ragazzo di origine canadese che in questi anni, anche se non ha gareggiato moltissimo ha sempre un grande seguito sui social. 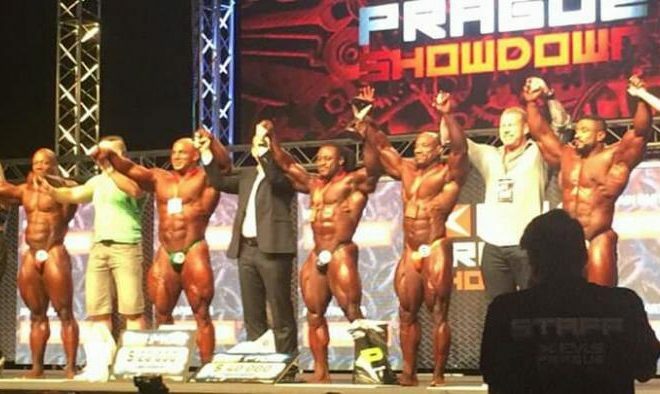 Qualche mese fa, il campione canadese, ha annunciato, il suo ritorno al mondo delle competizioni pro ifbb e ha deciso anche di voler gareggiare sul palco del Toronto PRO IFBB 2019. In queste settimane, abbiamo postato qualche foto di Antonie, mostrando la sua condizione in offseason, ma sopratutto abbiamo fatto il tifo per lui, per essere tornato al mondo del bodybuilding, dopo un periodo non troppo bello, in cui Antonie era sparito dal mondo dei social media. 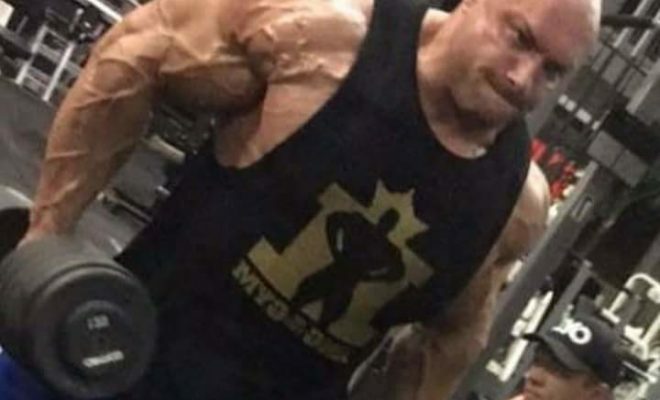 Dopo la morte di un suo caro amico, Antonie Vaillant ha lasciato completamente il bodybuilding e ha trovato conforto per questa perdita con l’alcool e la droga. Dopo diversi mesi di alti e bassi, Antonie ha deciso di farsi aiutare e sopratutto di combattere la dipendenza da stupefacenti. L’arnold Classic e le previsioni! il numero di febbraio, come tradizione è un numero dedicato all’Arnold classic Ohio, la prima gara della stagione 2019 della IFBB PRO LEAGUE. e dal primo numero che ho comprato di MD nel lontano 2009, c’è sempre stato molto spazio per questa importante manifestazione professionistica, sia sul sito che sulla rivista cartacea. Nel momento in cui scrivo questo articolo, non ho ancora avuto modo di ricevere la mia copia cartacea, quindi non posso darvi maggiori notizie sul questo numero, ma appena avrò qualche info in più sarete i primi a saperla! Antoine Vaillant has never won a pro show, but he’s a champion and an inspiration to many. 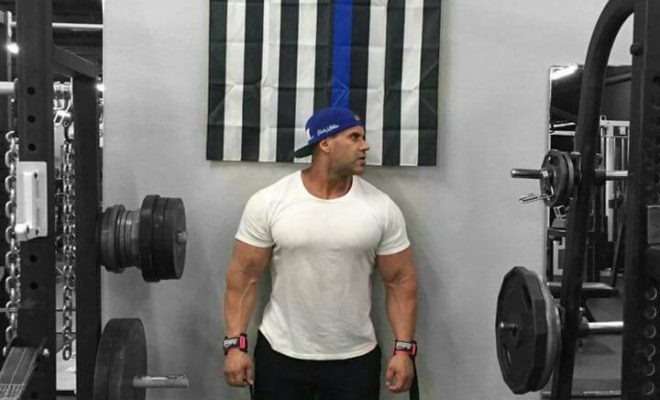 He has overcome adversity and pushed himself to make improvements in size and conditioning, and battled drug addiction— and won. Antoine Vaillant has all the ingredients of a winner, pushing himself every day in the gym to train harder and inspiring others to do the same. The cover shot of Antoine is designed to inspire you in the gym to train harder and get ripped, shredded and build lean muscle mass. Also to get pumped up for the 2019 competitive season, beginning with this year’s Arnold Classic, with one of the best lineups in years. The Arnold Classic is part of the Arnold Sports Festival, a mega-event held each year in Columbus, Ohio that attracts athletes who compete in a wide variety of sports. The Arnold Sports Festival is one of the industry’s mostly highly anticipated and iconic weekends and has expanded to global appeal and success. 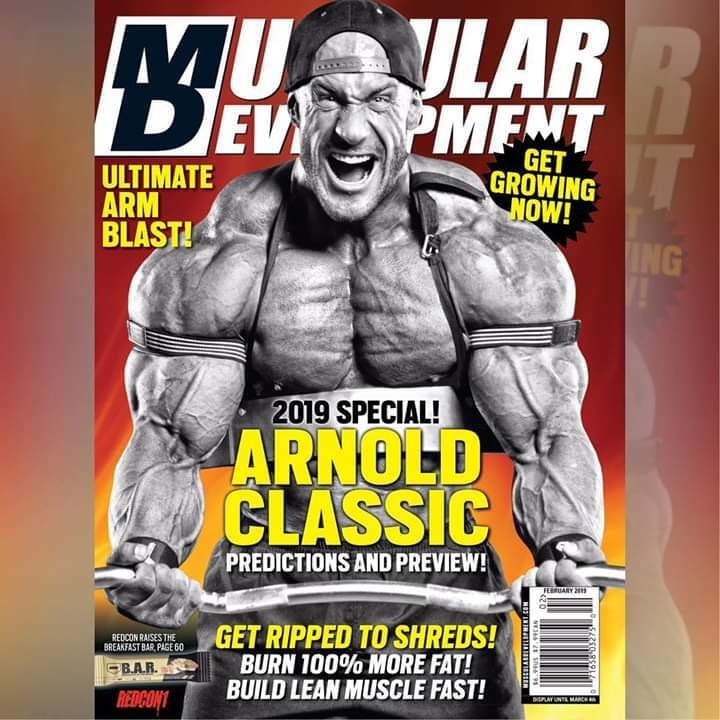 Muscular Development is proud to give you the best coverage of the 2019 Arnold Classic anywhere, in print and online at musculardevelopment.com. I’d like to take this opportunity to thank Hi-Tech Pharmaceuticals, MD’s Arnold Classic sponsor, for their support to make this happen. The off-season is really what bodybuilding is all about for most people, since the main goal is “building.” It’s when you add mass, make improvements and focus on bringing up lagging body parts before leaning out for competition, or for the spring and summer. Many of you are well into your annual off-season phase right now. “The 10 Commandments of Off-season Gains” will aid you in your quest and ensure success. Who will be the last man standing at this year’s Arnold Classic? The contest promises to be one of the best in years, an interesting mix that is being eagerly anticipated by fans worldwide, as we will be seeing some rematches from Vegas shifting over to Columbus, Ohio for the 31st annual Arnold Sports Festival. With three former winners including the reigning champion vying for the Arnold Classic bodybuilding title, the stage is set for a battle for first place. 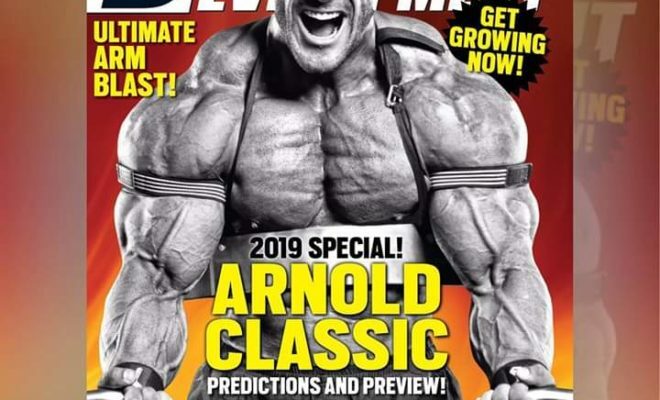 “2019 Arnold Classic Predictions” is bodybuilding’s most comprehensive preview of who will have his hand raised in victory by contest namesake Arnold Schwarzenegger. During his incomparable career in bodybuilding publishing, Peter McGough has interviewed Arnold Schwarzenegger countless times. For MD’s exclusive Arnold Classic preview, Peter has selected quotes from those interviews that encapsulate the life and times of bodybuilding’s biggest-ever star, in Arnold’s own words. “Schwarzenegger, Before He Was ‘Ah-Nuld!’” charts the early stepping-stones of Arnold Schwarzenegger as he began his climb to worldwide fame.